On April 24, 2018, the Student Family of the Faculty of Biology commemorated the 13th anniversary of KMFB. 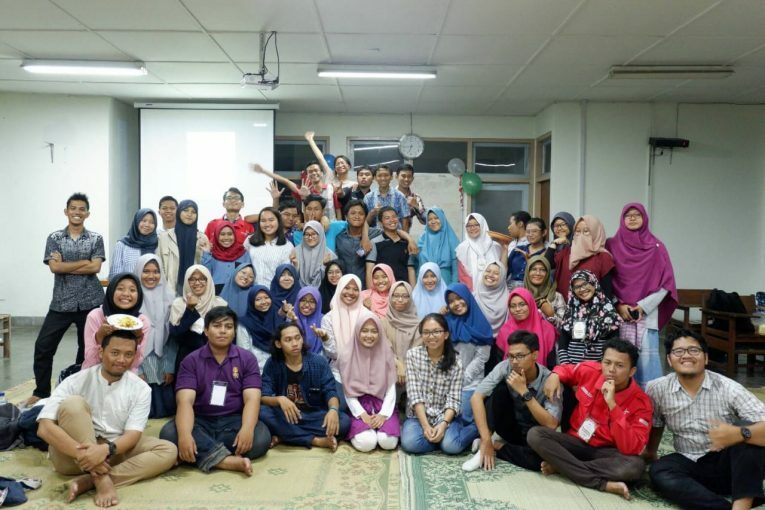 The event was held in BAB “(Biology Dasar Atas Barat)” Faculty of Biology. the event started at 16.50-18.30. All the biology students who joined the KMFB follow the anniversary of KMFB with great enthusiasm. 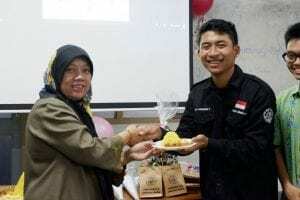 In KMFB Anniversary ceremony there was a tumpeng cutting represented by Ibu Rina Sri Kasiamdari and symbolically given to the representatives of Study Groups / Institutions to be more “erat dan solid”. The KMFB Anniversary was “dimeriahkan” by Biology Award 2018 nomination readings counted by voting. In the series of KMFB Anniversary event, Department of Medkominfo BEM Biology presents Bioskop (Biology in Telescope) as a video to commemorate the anniversary of KMFB. The event was then closed with taking photos together.